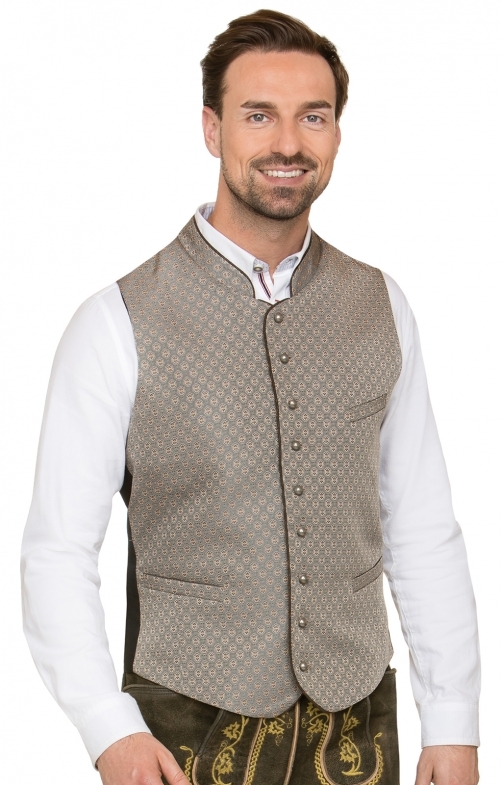 Traditional vest Pino for men from Stockerpoint in taupe. The traditional vest impresses with the traditional and masculine jacquard pattern. Decorative ball buttons, contrasting piping in suede on raised collar and welt pockets set special accents. The back is held in black and adjustable in width by a latch. Two closable inside pockets make the model complete. Two inside pockets with button closure make the model complete.